Geotextile tubes are one of the largest and most cost effective options for dewatering a large site, lagoon, or waste water treatment plant. 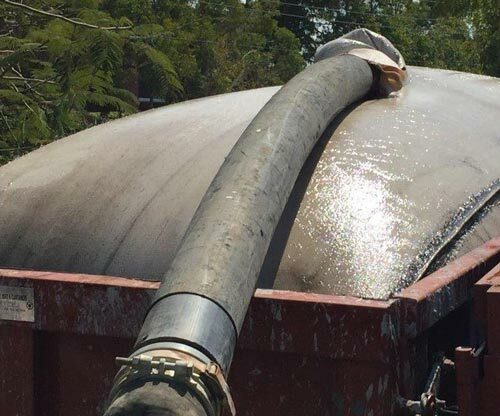 Constructed from a robust woven geotextile material, dewatering tubes are able to effectively remove and contain sludge or sediment from a water flow. With increased size, strength, and durability, sludge tubes are an ideal choice for demanding jobs or heavy containment requirements. Similar to dewatering bags, geotextile dewatering tubes are made from permeable fabrics that allow water to pass and filter through the bag. 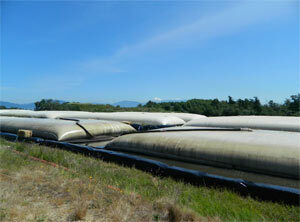 Standard geotube sizes include lengths from 50' to 250' feet and circumferences up to 90'. Custom sizes are also available. 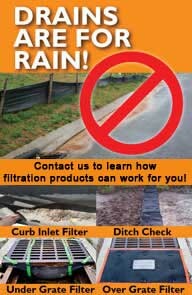 Questions about geotubes for erosion control? We can help! Call the GEI Works team at +1-772-646-0597 or fill out our quote request form to discuss your requirements. Length: up to 250 ft.
Circumference: up to 90 ft. Need help with geotube sizes? Call the GEI Works team at +1-772-646-0597 or fill out our quote request form to discuss your requirements. 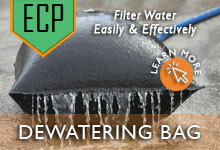 Have a smaller dewatering job? In addition to the large sludge tubes, we also offer several small Dewatering Bags to help filter out sediment and materials. These bags typically include sizes between 6' x 6' and 15' x 20'. 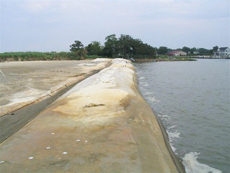 If you have questions about geotubes for erosion control, give GEI Works a call at +1-772-646-0597 or request a price quote.